International Korczak Association (IKA) is a not-for-profit organization for activists and educators who treat the legacy of Janusz Korczak as the foundation of their work for the benefit of children. The IKA is located in Warsaw, Poland. The IKA: disseminates knowledge on Janusz Korczak’s life, activity, and creative output; circulates theoretical and practical projects as well as experiences based on Janusz Korczak’s legacy, developed in various countries; and initiates and supports actions for the implementation of the “Declaration of Human Rights” and the “Convention on the Rights of the Child”. For the past few years, IKA members have attended one day June gatherings in Geneva, Switzerland, organized by the Permanent Mission of the Republic of Poland to the United Nations. Each year, an article from the 1989 Declaration of the Children’s Rights is chosen for discussion. Any country can become a member of the IKA. The yearly membership fees are 200 EUR. The Janusz Korczak Association of the USA is a full member of the IKA, and we are closely connected with the work of IKA. We attend yearly international gatherings, which are held at different locations worldwide. We plan to host one of these gathering in 2018 in the USA. To find out more about Janusz Korczak’s Polish Association, please visit PSKorczak.org.pl (in Polish only). There is no current English website for IKA, but you can visit their Facebook page here. Since the spring of 2015, we have been collaborating with the Mikolaj Kopernik School in Mahwah, NJ, (http://polskaszkolawmahwah.com, in Polish only). We introduced the biography of Janusz Korczak to students 11-18 years old. In the 2015-2016 school year, we offered a pilot program of six sessions for the 3rd grade. Children learned how to focus better and how to stay calm by participating in the Five Star Program® and doing exercises that are great for their brains. They created Take a Break Areas both in their classroom and in their homes. They learned about children’s rights, came up with their own children’s rights and put them on kites that they built themselves. We talked about fighting, racing minds, gratitude, and many other important topics valuable for building character. The program was well received by both the children and their teacher. We plan to come back and do a similar program for older students in the Mahwah school. We also plan to offer similar programs to other Polish schools in the New York and New Jersey areas, and are currently developing a Korczak curriculum for the teachers’ of the Polish Schools. Over the years, we have been invited to participate in several Consulate’s activities related to the Korczak movement. We attend their events, give lectures that promote Korczak’s ideas, and publicize our work with children, all in order to promote Korczak’s legacy in the USA. In 2011 – 2014, we worked closely with the Vice Consul Ewa Lukowicz- Oniszczuk in preparation for the 100th anniversary of the Korczak’s orphanage. In 2012, during the conference offered by the Consulate, entitled Janusz Korczak and Children’s Rights in Contemporary Perspective, Mariola Strahlberg presented a talk: Theory and methods of J. Korczak in the pedagogical practices today, specifically in reference to the Article 29 of the UN Convention of Children’s Rights, with the potential for the development of Quiet Spaces to promote children’s well-being. In 2015-2016, since the Consul General Urszula Gacek had a personal interest in Korczak and promoted his legacy while she was a special ambassador to the European Union in Strasbourg, we were invited to a meeting with her and the Vice Consul Alicja Tunk to discuss various options in teaching teachers and students about Korczak’s ideas. We were also invited to a gathering, promoting a new book, Pani Stefa, a life story about the Korczak’s assistant of 30 years. The book is written by Magdalena Kicinska, and there are plans to translate it into English. To read more about the Polish Consulate in New York City, click here. For one week in the past 4 summers, CATS has provided a space where children, young people and adults have practiced to live, learn, and work together as equal partners in transforming society. Children have learnt to develop their expertise as advocates, by working with adults equipped with the cutting edge ideas and practices on child participation, and together they have come up with solutions that each could take into the society they live in. In 2013, Korczak Association of the USA brought 3 young people to the Conference. In 2015, Mariola Strahlberg, Nick VanSant, and Erin Schirm attended and presented at the conference. To learn more about our participation at CATS in 2013, click here, and CATS in 2015, click here, to read the reports in our newsletters. To learn more about the organization and this year’s CATS conference, click here. Korczakowo is a unique place located in Osno, near Zielona Gora, Poland, in a unpolluted forest at Grzybno Lake. This camp was founded over 50 years ago by the late Jerzy Zgodziński, and is inspired by teachings of Korczak to work with youth in a different way. Young people are expected to be involved and learn responsibility through cooperation with peers and taking new challenges. They direct and prepare their own theatre performances, write and sing their songs during Our Song Festival, pay tribute to Korczak on his birthday anniversary, write in the Thank You/Sorry book, play many sports, swim, kayak, etc. Young people arrive year after year to spend 2-3 weeks of holidays, often making very strong and solid friendships. 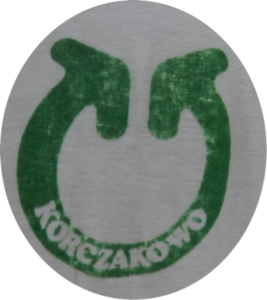 Korczakowo’s goal is: Young people have to leave Korczakowo both happy and wiser. We allow our charges to give themselves to others, create and build, and we support them in doing so. We help them to open their minds to other people, the world, and its problems. We are guided by the Korczak’s thought: “We can’t leave the world unchanged”. To learn more about the camp’s founder Jerzy Zgodziński, click here. In 2016, we started working with AMC to create a Children’s Discovery Trail in the Harriman State Park at their new site, Harriman Outdoor Center at Breakneck Pond. Erin Schirm, a member of our Board and the head of Orienteering USA, will provide orienteering activities for the trail. Our plan is to have children and parents maintain the trail. To learn more about these organizations, visit Outdoors.org and OrienterringUSA.org. Canada – Janusz Korczak Association of Canada has been active for years. Visit their website and read their old newsletters. In 2015-2016, the Canadian Association has organized conference “How to Love a Child” at the University of British Columbia. You can read the summaries of the 6 sessions or listen to the recordings on their website by clicking here (worth your time). Janusz Korczak Association of Canada has been instrumental in putting Janusz Korczak’s books in English and Polish online, and working to republish certain books. Now you can find many Janusz Korczak’s books in English translation, as well as new books, like White House in the Grey City by Itzachak Belfer, and Taking Root: My Life as a Child of Janusz Korczak by Shlomo Nadel. You can read both of these books for free online at the Canadian Association’s website by clicking here. Soon, The King of Children by Betty Jean Lifton will be republished. Since May 2016, we have been in touch with Roman Wasserman Wroblewski, son of Misha Wasserman Wroblewski. Misha worked in the Korczak’s orphanage from 1933 until August 1942. The blog has a lot of information about Korczak, his pedagogy and life in the orphanage. There is also an interesting online version of the Korczak Monument project and the Korczak’s drawing as part of the monument. United Kingdom – Janusz Korczak in the UK.